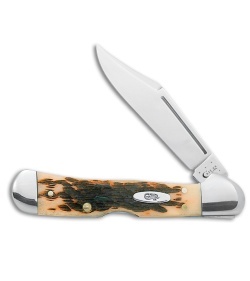 This Mini CopperLock pocket knife has a locking stainless steel clip point blade. 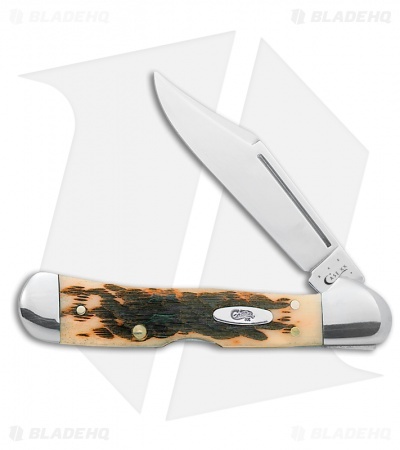 The 3-5/8" handle has nickel silver bolsters and Amber Bone. Case inlay shield.